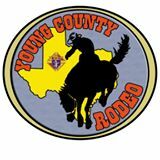 The Young County Rodeo is just around the corner! 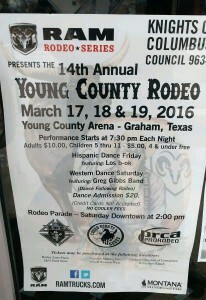 The 14th annual Young County Rodeo kicks off March 17th and runs through March 19th at the Young County Arena, right here in Graham, Texas. Make plans to attend the Rodeo Parade, on Saturday, March 19th at 2 pm in downtown Graham. Schedule of Events: Performance Starts at 7:30 pm each night. This entry was posted on Tuesday, March 8th, 2016 at 11:29 am	and is filed under Events, News & Updates, News from Max. You can follow any responses to this entry through the RSS 2.0 feed. Both comments and pings are currently closed.